How is Christmas celebrated in the UK and the USA? As Christmas Time is so special two of the students from 1g wrote few words about it. In the UK people don’t celebrate Christmas Eve but the most important day is the 25th of December. Most people go to church and have dinner. Typical dishes are: stuffed turkey with baked potatoes and vegetables like carrots and peas. Christmas pudding is always for a dessert. After the meal members of family break turkey’s bone and someone who gets the biggest part can make a wish. There are Christmas crackers on the table. The English also decorate Christmas tree and their houses. They sing carols and give presents. Fireplaces are decorated with Christmas Stockings which are full of presents. Another tradition is to kiss a person who is standing under the Mistletoe. The 26th of December is also a day off and it’s called Boxing Day. In all shops starts a Christmas sale. Americans have a lot of ways to celebrate Christmas because of cultural diversity in USA. Many customs are similar to ones in the UK, Italy, France, Poland, Holland and Mexico. Like almost everywhere there they decorate the Christmas trees. What is weird for Poles some of Americans use pop-corn for xmas decoration. They put popcorn on a thread to make a beautiful popcorn garland. In some states are shops called ‘Christmas Shops’. There people can buy Christmas items through the whole year. Moreover, Americans love decorate their houses (alike inside like outside) with Christmas lights, bows, statues of Reindeers, Santa Claus or Snowmen. A lot of buildings shine when it is dark. Also, towns are decorated for Christmas time. Everywhere there are shining Christmas trees, lights, garlands and Santa Clauses. 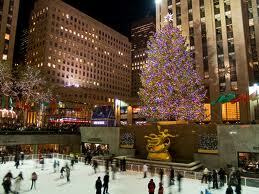 The most popular, huge Christmas tree is placed at the Rockerfeller Center in New York. There is ice skating rink in front of it where people can spend free time in the Christmas atmosphere. 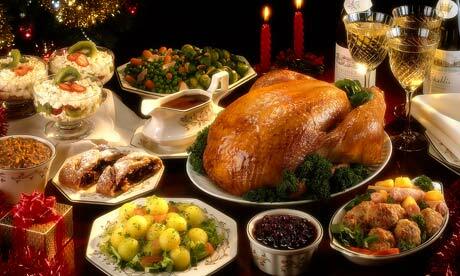 At Christmas Day at 25th December families eat a special meal, often it consists of turkey and a lot of other festive foods. 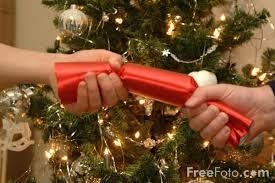 They also exchange gifts with families and friends. Many Sunday schools, churches and communities organize for Christmas Days special events like concerts or Christmas plays. We have the pleasure to announce great news! The Theatre Group from our school called “Under the Hanging Cat” won a very prestigious competition organized by Polish TV. Last Sunday we had a chance to watch the exciting final show where our actors and their leader Mrs Beata Gendek-Barhoumi were awarded: 2 place (professional jury) and 1 place (Internet voting). At the same time the supporters were keeping their fingers crossed at Kopernik High School, which was shown during the programme. The winning play, “Ławka”, was directed by our graduate Tomasz Pitrasik. News added by Mrs Kossak.